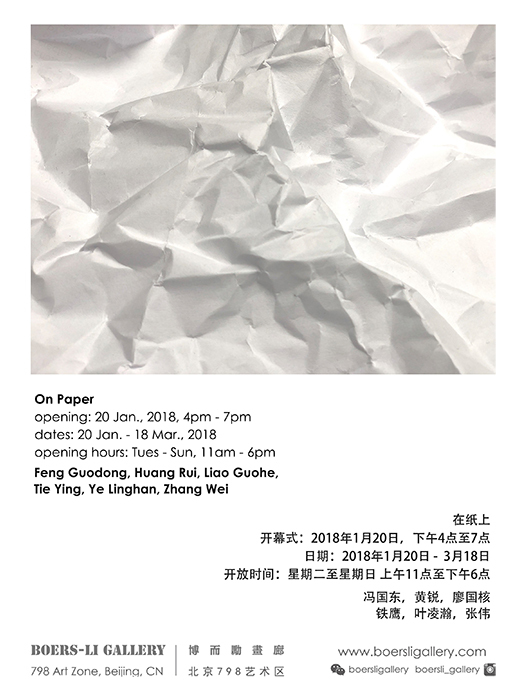 Boers-Li Gallery is pleased to present the group exhibition, “On paper” by artists, Feng Guodong, Huang Rui, Liao Guohe, Tie Ying, Ye Linghan and Zhang Wei. 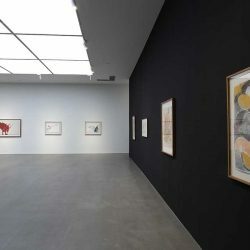 The works on view, comprised of sketches, drawings, watercolors, ink paintings, pastel and acrylic paintings, wish to offer a rare glimpse into these artists’ inner working through the medium of paper. Works on paper have been historically under valued, while this type of artworks lay down the foundation of an artist’s visual language. 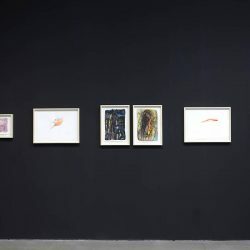 To some, these works can be a direct way of translating the mind through their hand onto paper, a means by which to document ideas before staging them on canvas, to others, it’s a procedural practice hitherto gets adopted in other mediums of their practice, or the materiality of paper becomes a playground for their artistic experimentation. 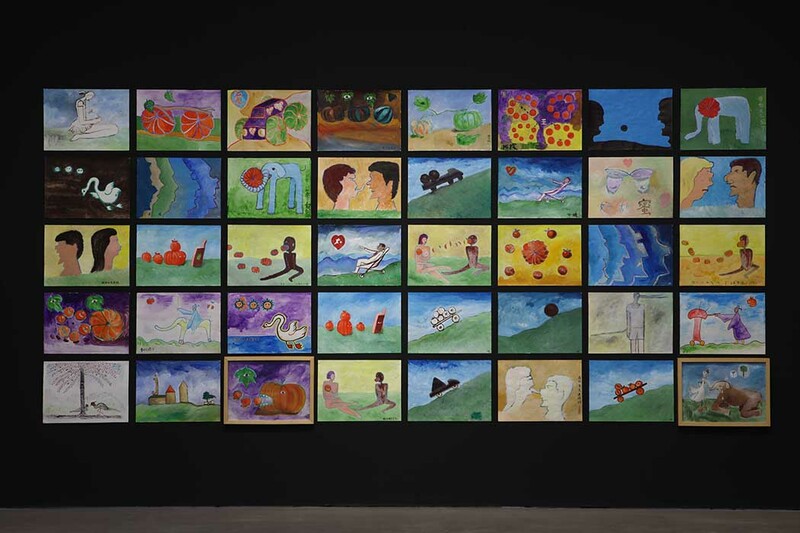 Huang Rui’s 24 works on paper outline a historical chronology of the artist’s practice spanning the last four decades. From his virtuoso sketching techniques of portraits in the late 1970s, to the ink paintings and pastel drawings in the early 1980s, to his recent works, each stage offers discerning relationships to the artist’s experimentation on canvas let it be his Cubist approach to composition, or prescient inclination towards abstraction. In their own right, the diversity of materials applied among these works conveys the spectrum of the artist’s inner workings. He demonstrates a fluidity and ease with the respective mediums, and a parallel world into the artist’s continuous reflection on his practice. For Zhang Wei, the characteristic of paper, in particular, the permeation of ink on rice paper is a unique visual effect found in traditional Chinese ink painting, intrigued the artist. 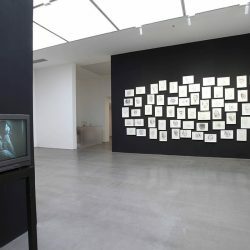 With the introduction of Western notions of abstraction in the early 1980s, the artist adroitly adopted this element of visual representation from his own traditional background into the formulation of what uniquely defines his abstraction – one that integrates elements from both traditions, the East and West. 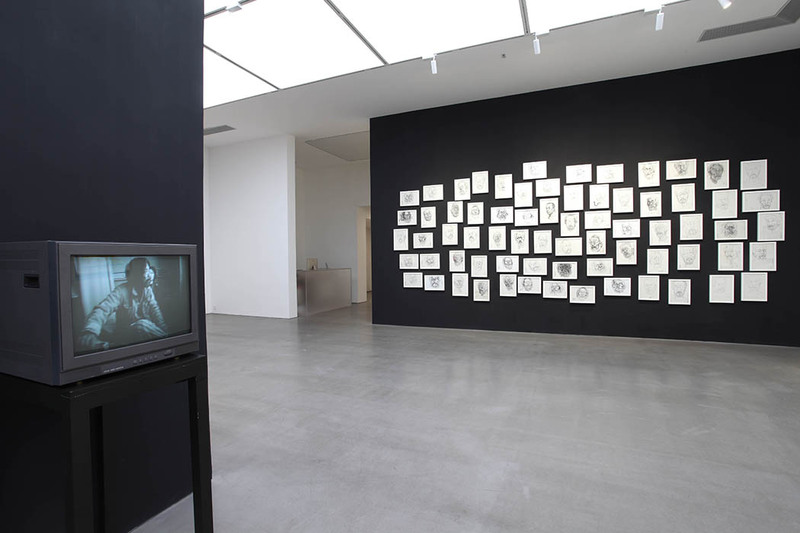 On view in this exhibition, we are given the rare opportunity to present works from the late 1970s to the present, in which the interchangeability of his techniques is adapted for rice paper and cardboard, painted in either ink or acrylic, that resulted in disparate visual effects. Liao Guohe’s works on paper can be considered as the documentations of ideas prior to working them into large dimensional oil paintings. Among these works, painted on his sketchbook of the same dimension, we see the recurrence of a number of his signature idiosyncratic motifs, icons and their inner relationships. Some of them are the artist’s preemptive studies, while others are vignettes or details of appropriated in later painting. 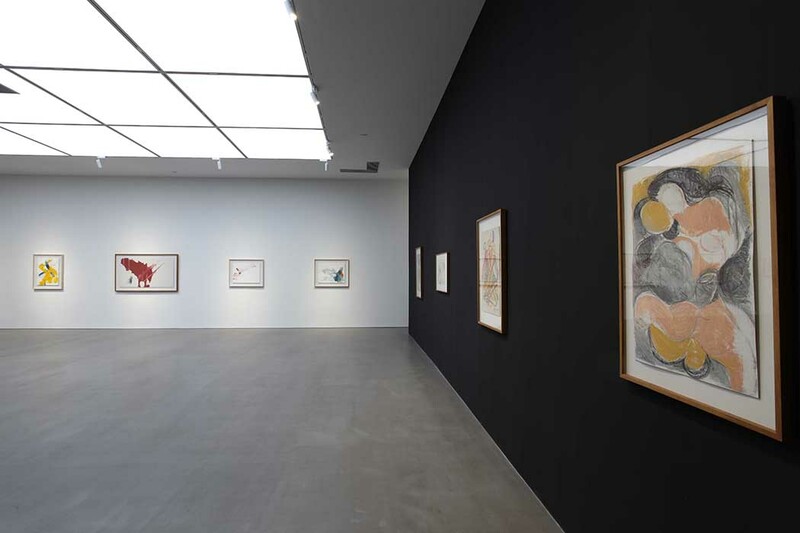 Tie Ying’s works on paper present the viewer an intimate experience of the artist’s practice. 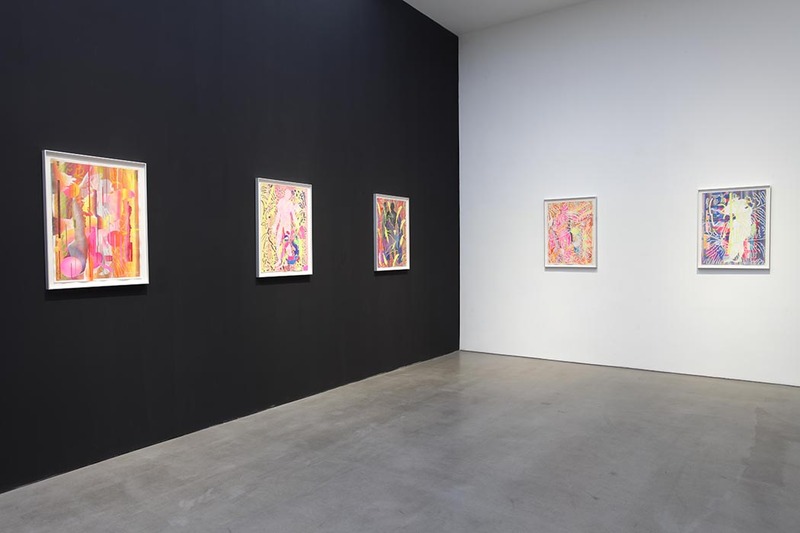 These works not only unveil a different visual effect of his works on canvas at a much smaller scale, but also let the viewers in on subject matters such as eroticism, more suitable for the up-close and personal viewing experience. Of course, works on paper is one of the most personal mediums. In the case of Feng Guodong’s self-portraits, done throughout the last year of the artist’s life, projected the artist’s most honest introspection of the self. As the artist’s health deteriorated, pen and paper were the most accessible materials for self-expression. 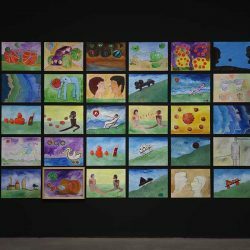 To a younger generation of artists however, whose practice have been cross-disciplinary on the get-go, they do not necessarily discriminate the painting material, instead take on the democratic approach to visualize their conceptual notions. Particularly in what Rosalind Krauss calls the “Post-Medium Condition”, any artistic medium can be interchangeably applied to the others. 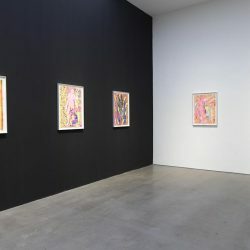 In Ye Linghan’s “Lucy-X” series, the artist’s paintings adopt what he defines as “the logic of digital layering”, one that is drawn from our everyday use of computer software, in which the generation of the image is stacked based on search results of the term “Lucy”. Any time we are given the opportunity of looking at the works on paper of an artist, we are given the opportunity to see who they are as artists. In addition, through these works, we grasp a sense of the stage of their artistic practice, the world they live in, and the ways in which they interpret the world. 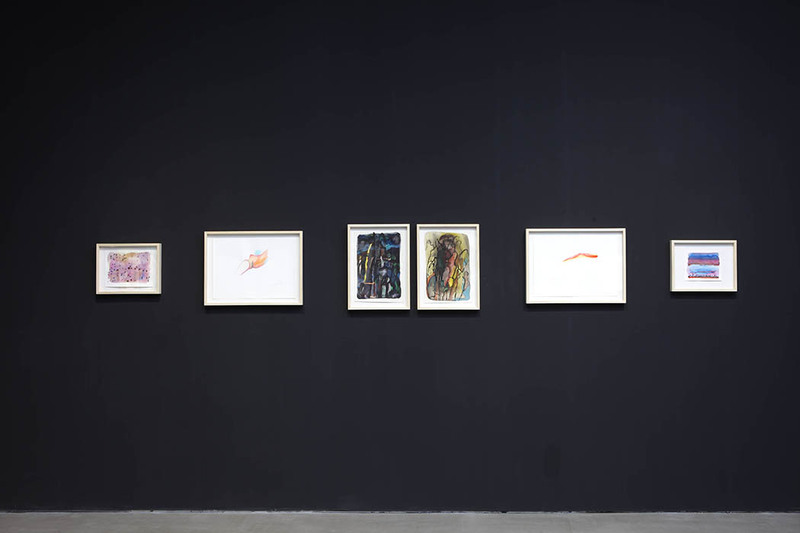 With the versatility of the works on display, from abstraction to figuration, across materials and mediums, we hope “Works on Paper” will afford the viewers a rare and satisfying visual experience.